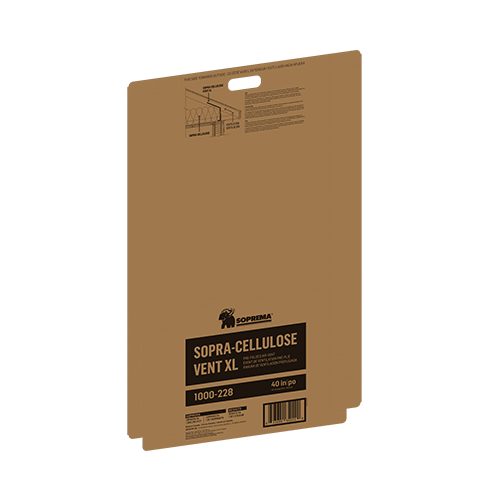 SOPRA-CELLULOSE VENT is a moisture-resistant rigid cardboard piece perforated along fold lines and used to ensure soffit ventilation and to prevent the movement of cellulose insulation into the soffit vent. 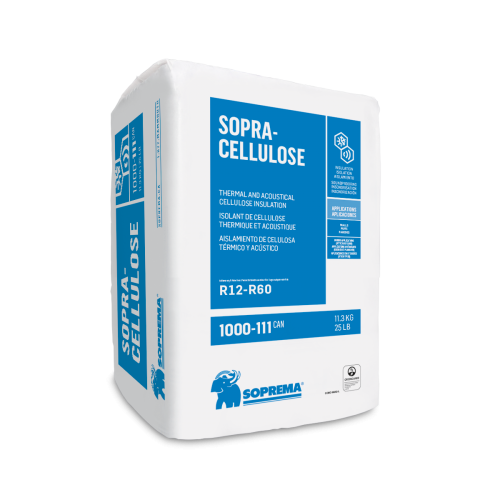 SOPRA-CELLULOSE VENT must be installed with the SOPRA-CELLULOSE insulation in ventilated attics. It also maximizes the R-value at the edges of the building. 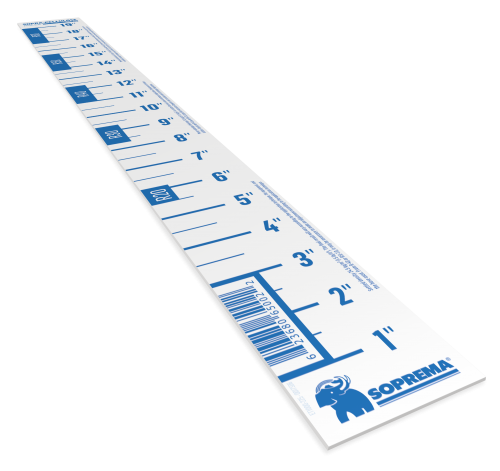 The SOPRA-CELLULOSE VENT XL is longer than the standard version in order to meet the new attic insulation requirements in provincial and national regulations (now up to R-61 or RSI-10.8).